Now you have a chance to use quality analytics available on the Twitter itself, completely free. As Facebook and Twitter continue to upgrade and develop their platforms, users seek useful analytics tool to monitor their activities online. Just as Facebook provided Facebook Insights, recently Twitter also presented its own Analytics tool version, completely free of cost. What are the various uses of this tool? Here’s a look below. Once you log into Twitter Analytics you will be able to view the dashboard screen with your performance visual. Impressions display the number of your tweets to the Twitter users. Engagements display the number of user clicks on specific tweets, hashtags, or links, and the number of links favored. Finally, Engagement Rate is the division of Engagements by Impressions. Low impressions signify low engagement. For better rates, tweet timing is crucial with multiple postings of important tweets. From the data, you get through Twitter analytics determine the best time for getting impressions and post your tweets accordingly. Other profiles followed: Which other profiles do your followers follow? Get the answer. By delving into the interests of your followers, you will be able to determine if they meet your target audience or not. To attract relevant people as your followers, you can join in different Twitter chats based on your specialty area. What your followers follow can give you an insight you seek for gaining new followers and increase the numbers. When people share your site’s content, you can attach extra information to it automatically. Twitter will interpret this for you. What is Twitter Card? It allows you to provide extra content information to Twitter. This in turn will help you to maximise the potential of tweets shared. Add your website codes to let Twitter know about videos, photos, or slide share presentations. When content sharing happens, Twitter Card adds to it; and additional information becomes available to your followers. So if you have not yet set up a Twitter Card, it’s time to do it now! Setting up the Twitter Cards helps you to build relations with key influencers who share your content. You will also be able to identify the Cards that work best by using analytics tool for the Twitter Cards. 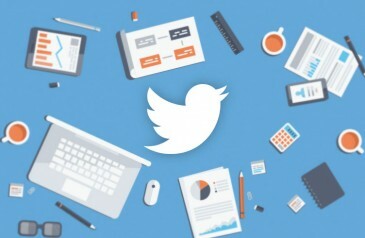 With Twitter, now offering its own free Analytics tools to users, life may get difficult for the third party analytics providers in the coming times. While there may still be room for those offering complex analytics services, the days of free basic solution providers seem to be over. This viable alternative from the site itself has opened up a new world of possibilities for the companies; especially as new, useful functionalities are added with time.